Add some colour with this Unisex Natural Wood Bead Flex Bracelet. 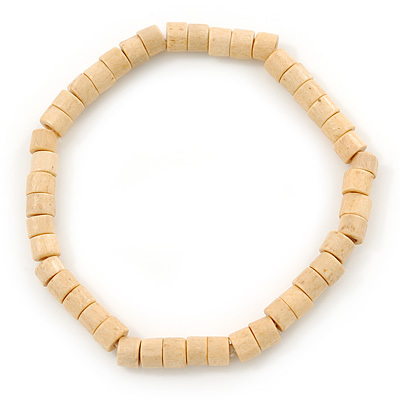 Featuring a single strand flex design, made of tube shaped wooden beads in hues of natural. Flex design ensures a comfortable fit. Will fit up to 21cm wrist.